More than half of all motorists now use digital services to tax or declare their vehicles off the road, according to latest figures released today by the Driver and Vehicle Licensing Agency. The DVLA's digital service - which includes online and telephone facilities - has been used more than 100 million times. Last year the service was used more than 26 million times. "The numbers show that more and more motorists want to deal with the DVLA at a time and place that suits them. The digital service is quick and easy to use and enables the DVLA to automatically check that MOT and insurance is in place so customers do not have to dig out additional paperwork." Currently around two million vehicles each month are taxed or declared off the road by the digital service. 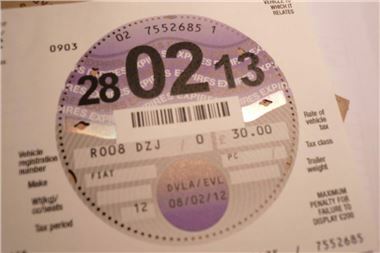 The busiest day for motorists using this service last year was on 28 February 2011 when 227,000 vehicles were taxed or declared off the road. In 2011: 26,157,962 transactions were carried out using the digital service. This is 52% of all transactions for that year and includes vehicle dealers registering vehicles for the first time using Automated First Registration and Licensing (AFRL). Half a million of the million transactions the DVLA processes every week. For motorists using the digital service around 80% tax their vehicles and 20% make a Statutory Off Road Notification (SORN). So far in the 2011/12 financial year (as at December) over 19 million motorists have used the digital service to tax their vehicle or SORN.